Charles Oldershaw was the son of Arthur and Leeba H. Oldershaw, of Edinburgh. He attended George Heriot’s School from 1913-1916, and was a younger brother of Lietenant T. H. Oldershaw. He died of pneumonia on 8th December 1918 at Abbeville. 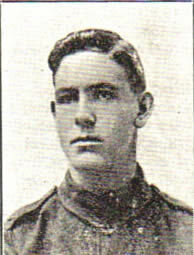 He died at the age of 18 and his name is on the St Michael’s WW1 memorial.